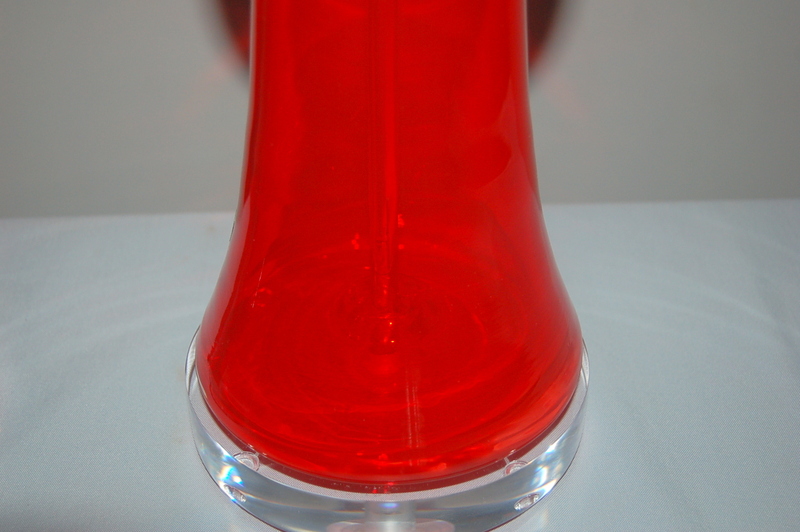 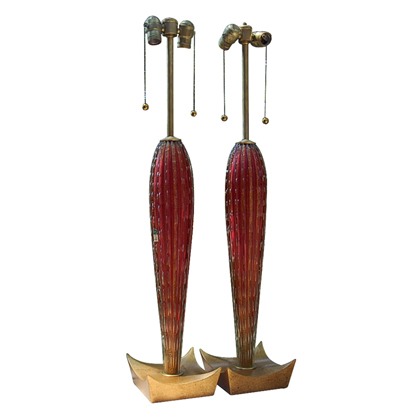 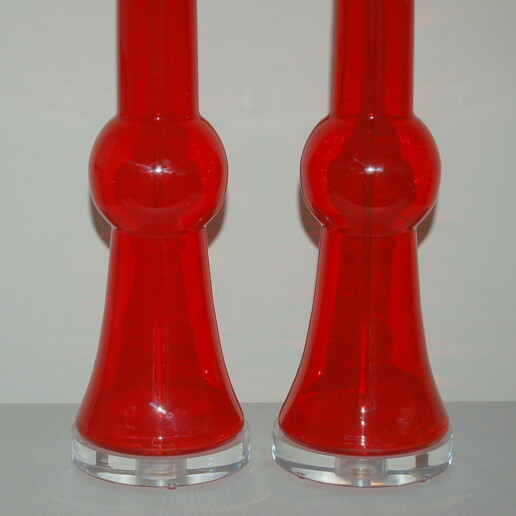 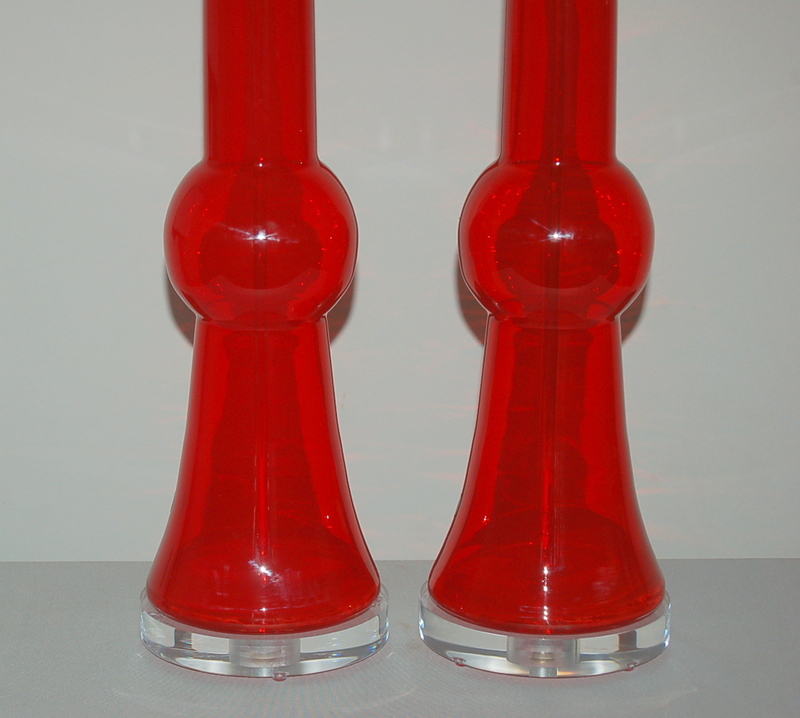 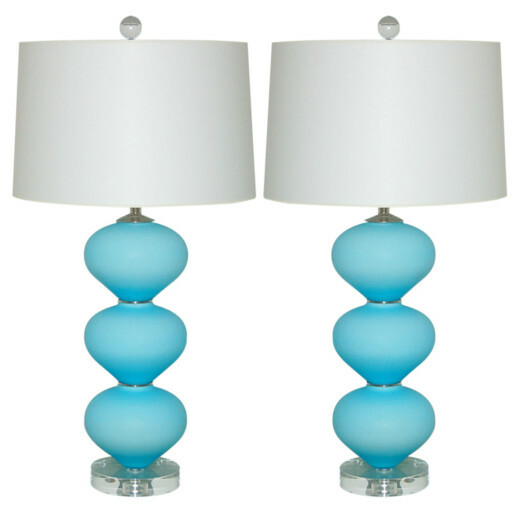 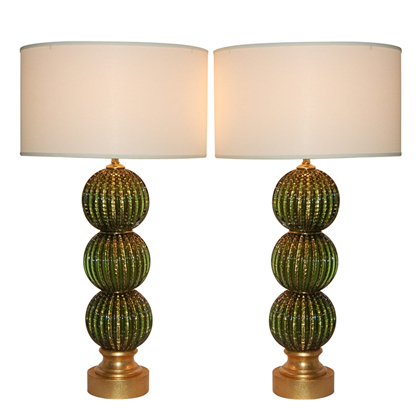 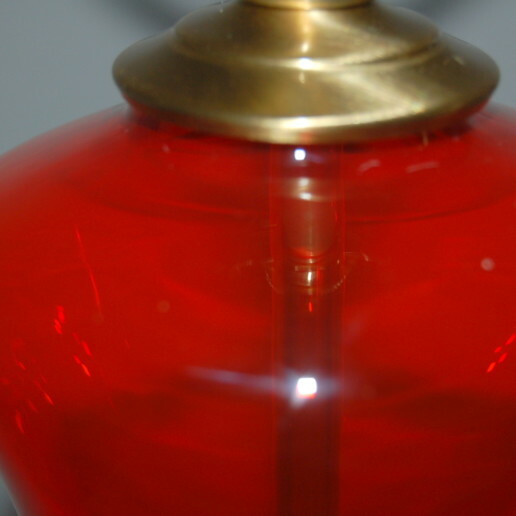 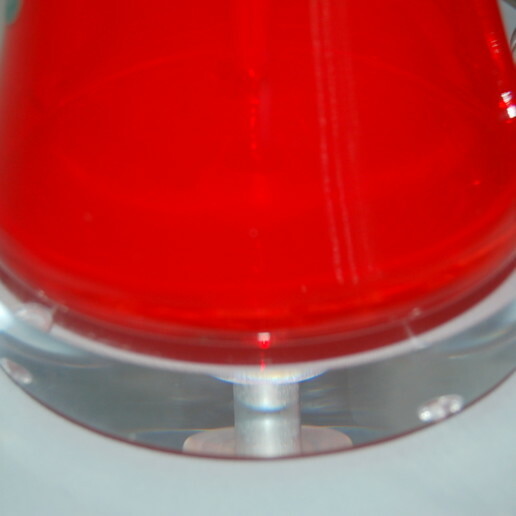 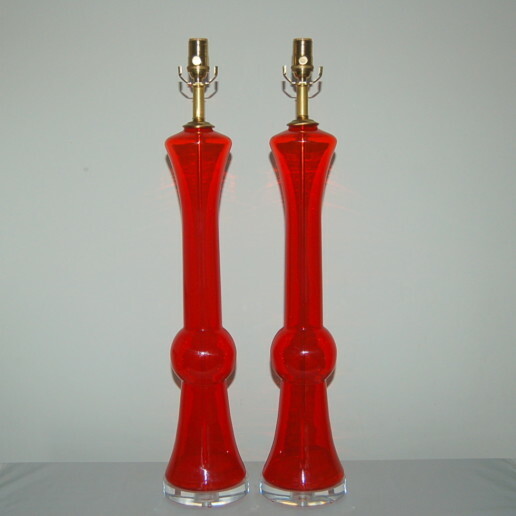 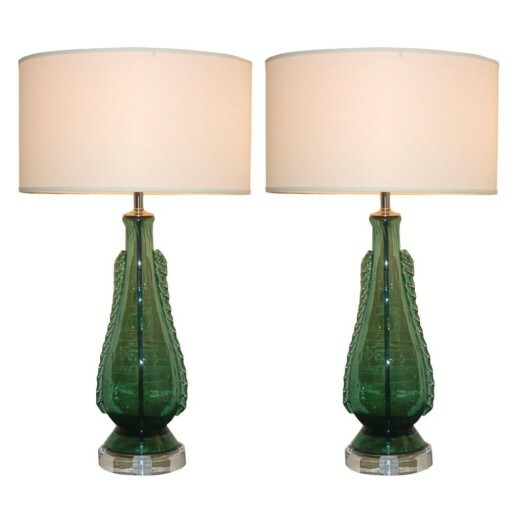 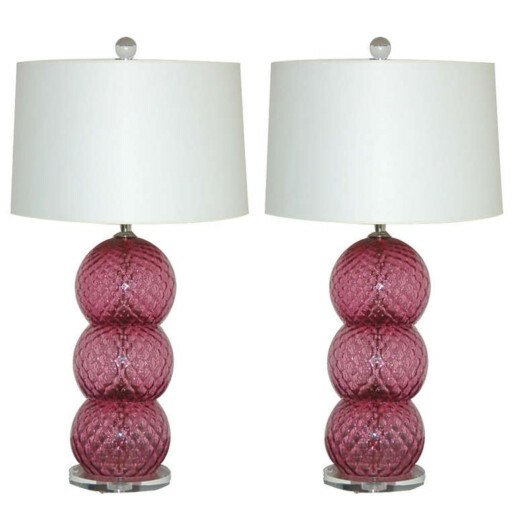 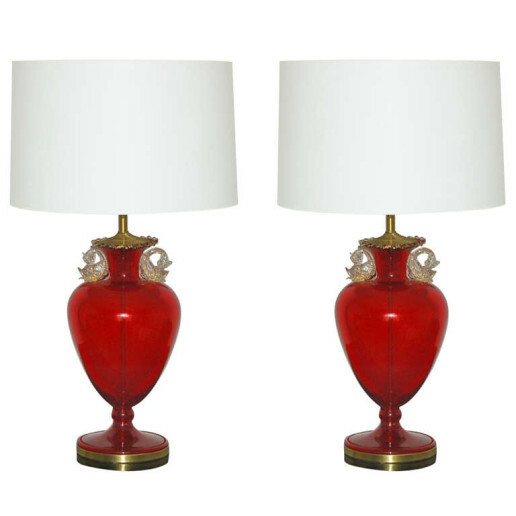 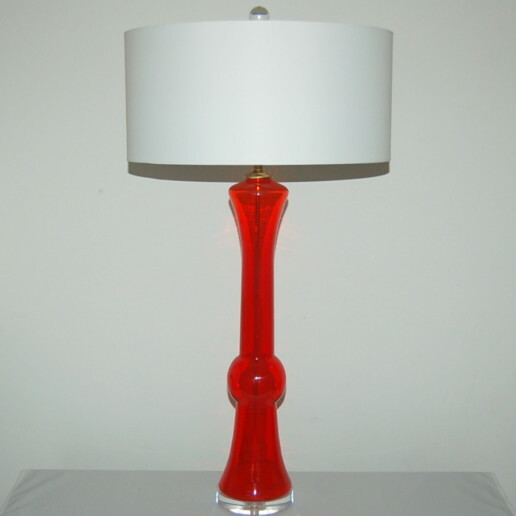 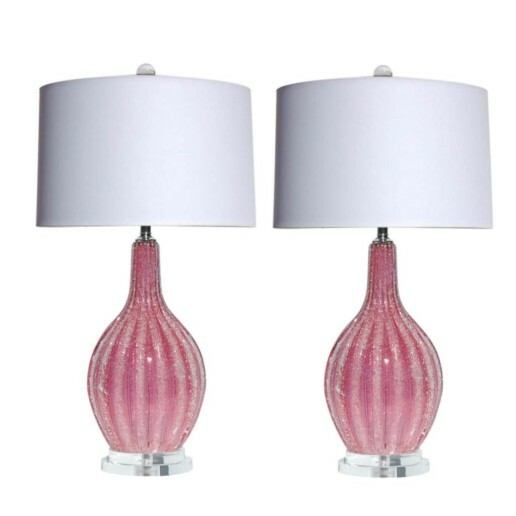 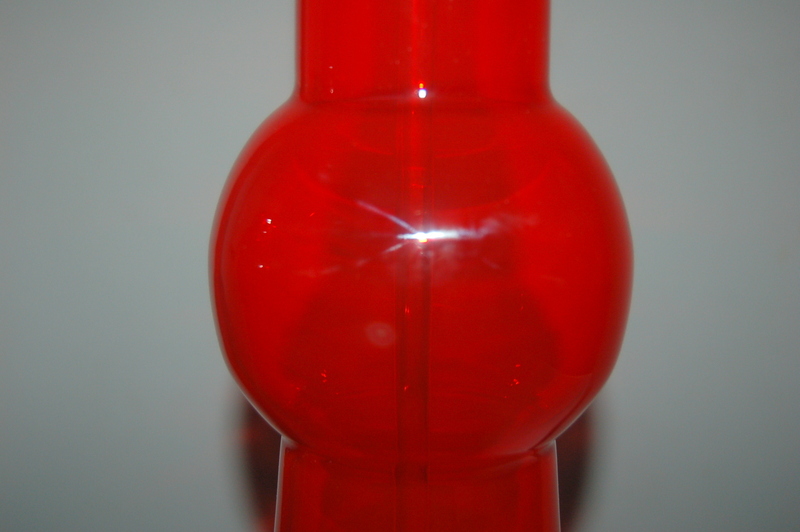 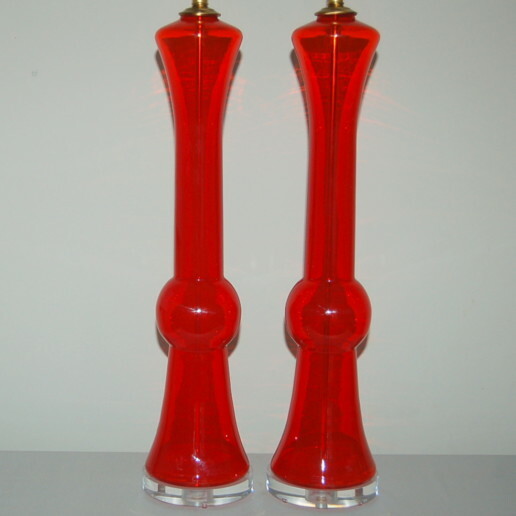 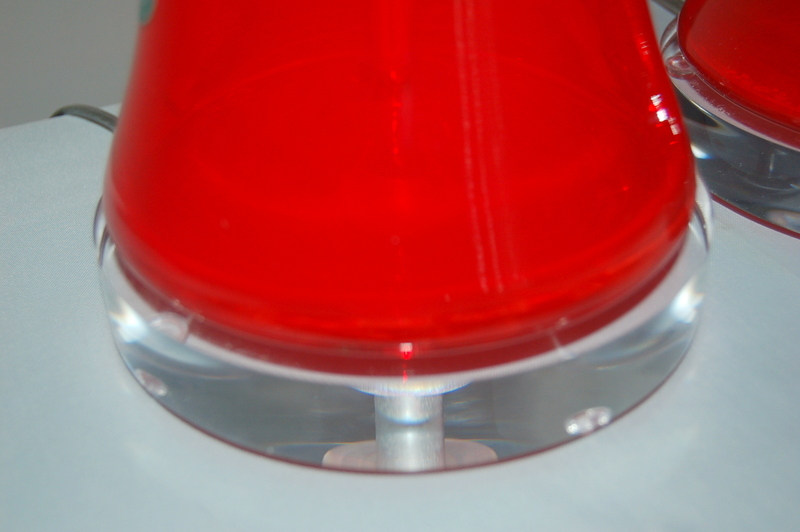 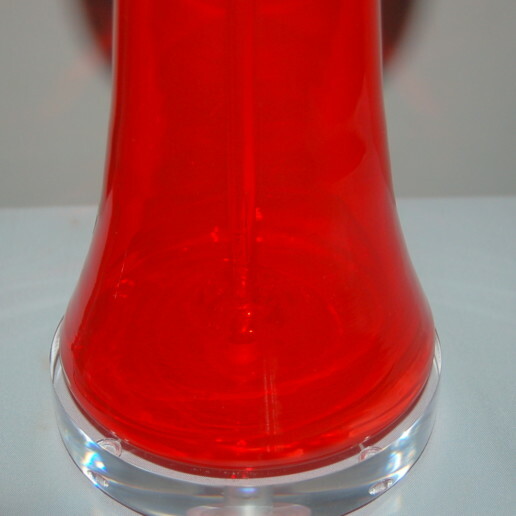 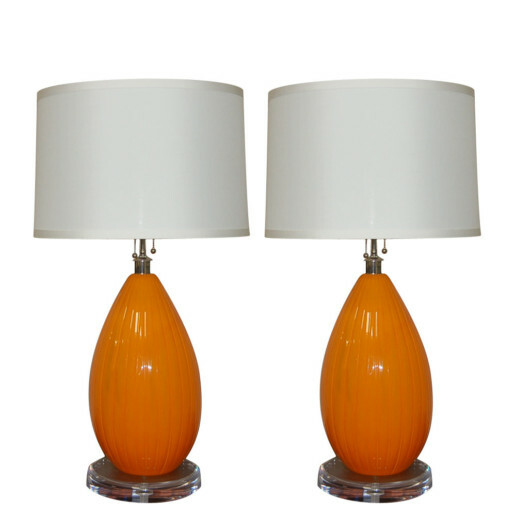 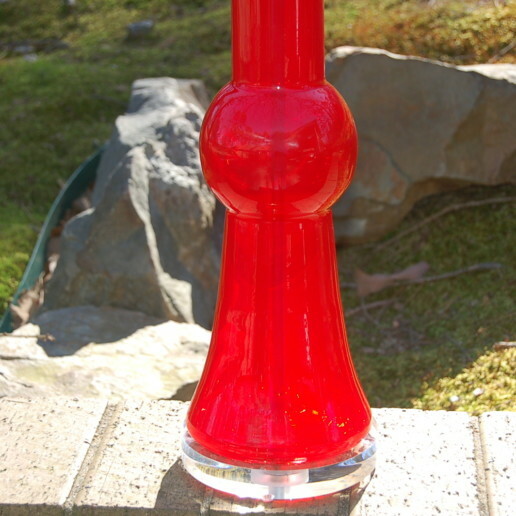 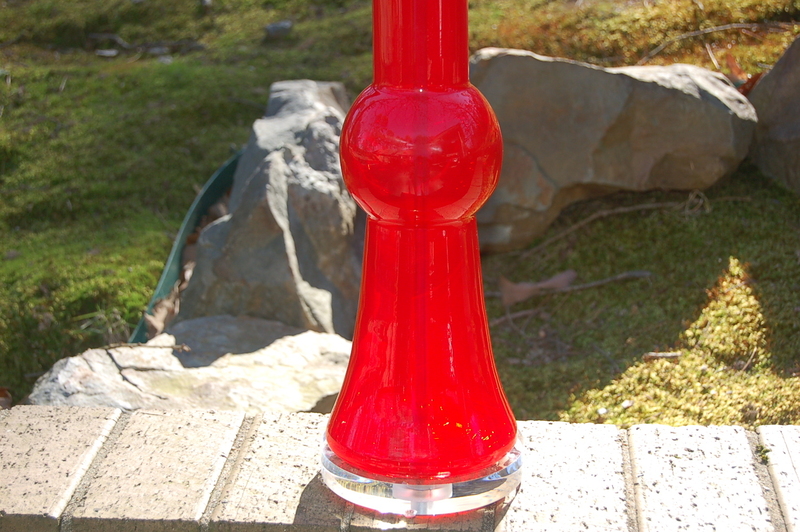 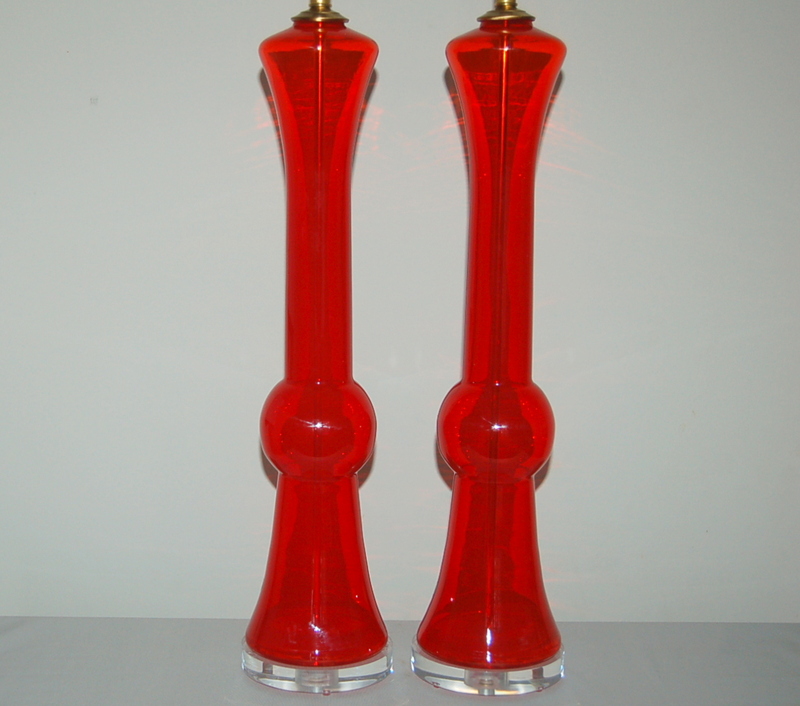 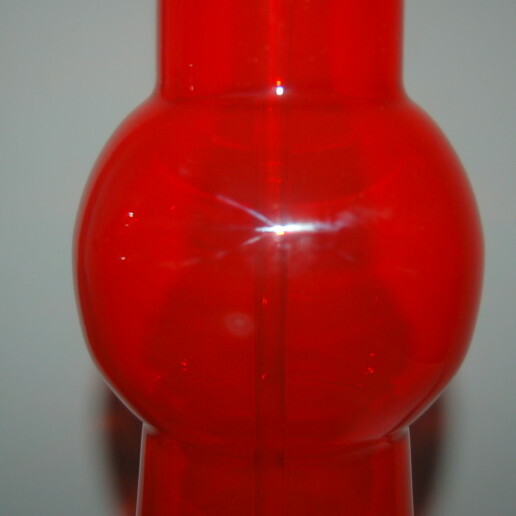 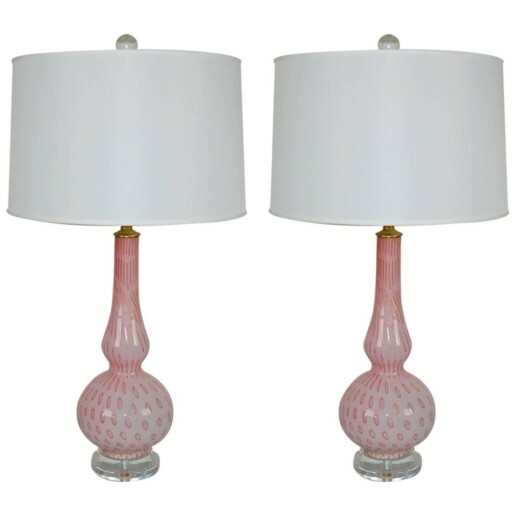 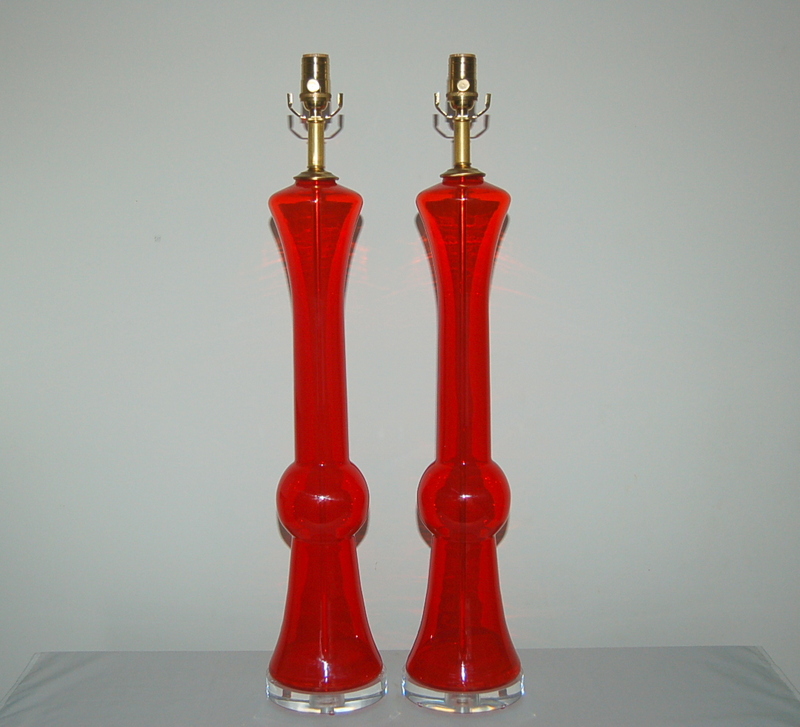 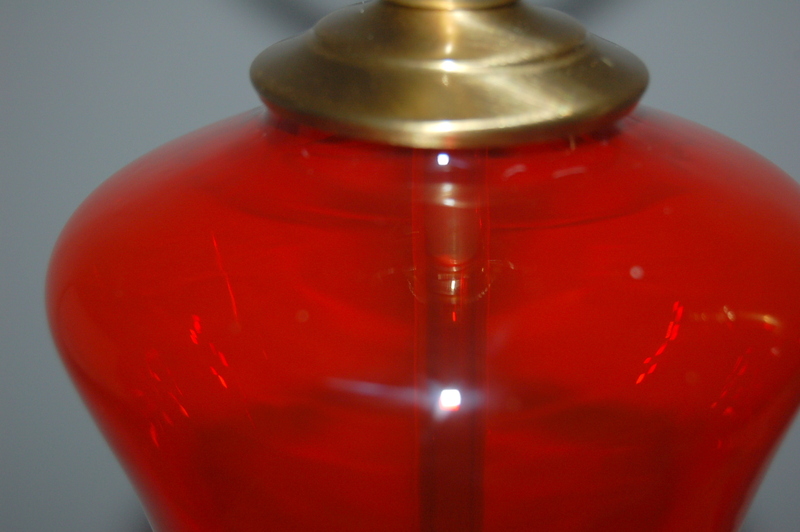 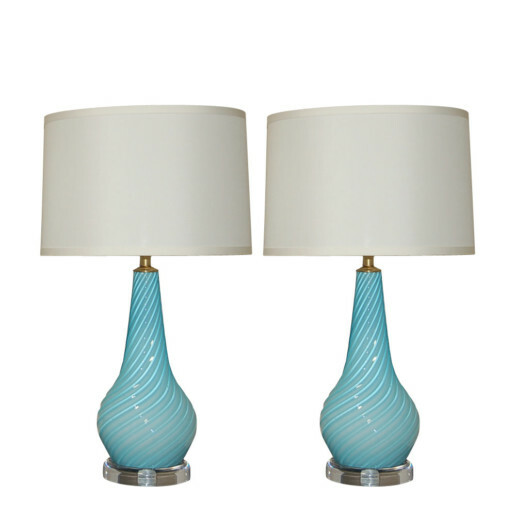 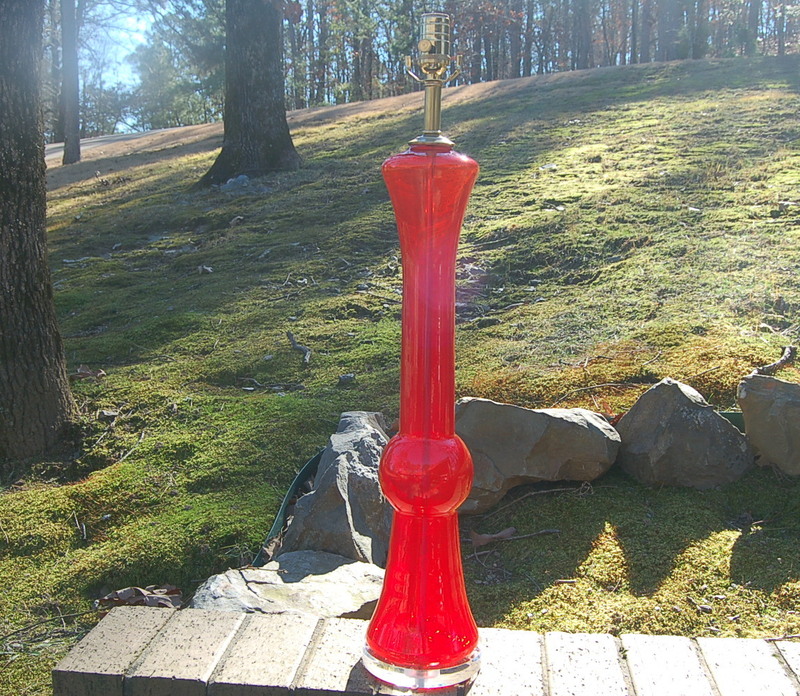 A towering matched pair of sculpted vintage Murano glass table lamps in translucent CHERRY RED. 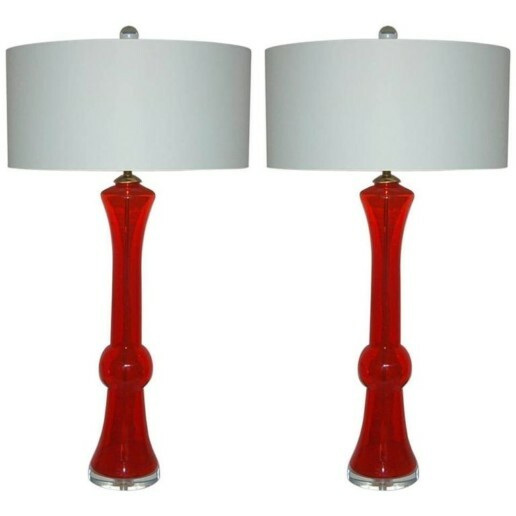 They stand 31 inches from tabletop to socket top. 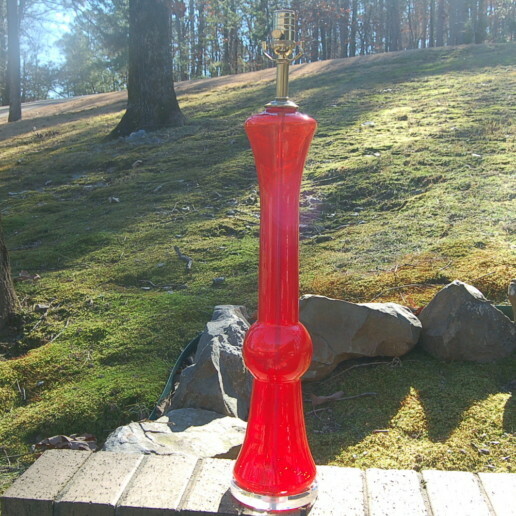 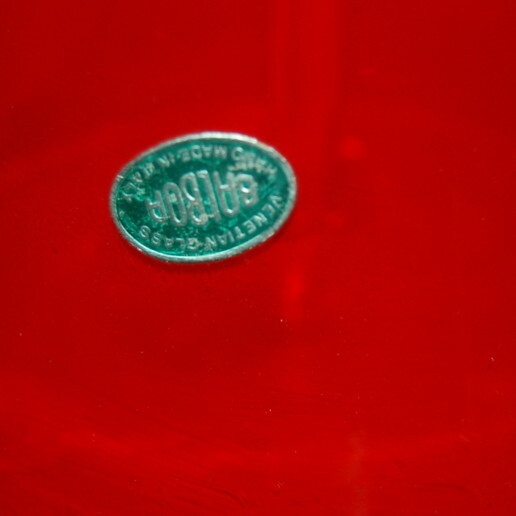 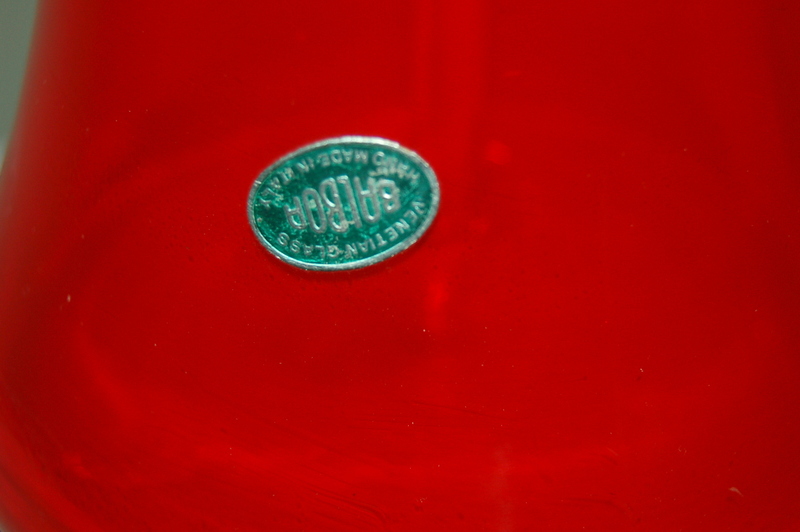 As shown the top of shade is 36 inches high. 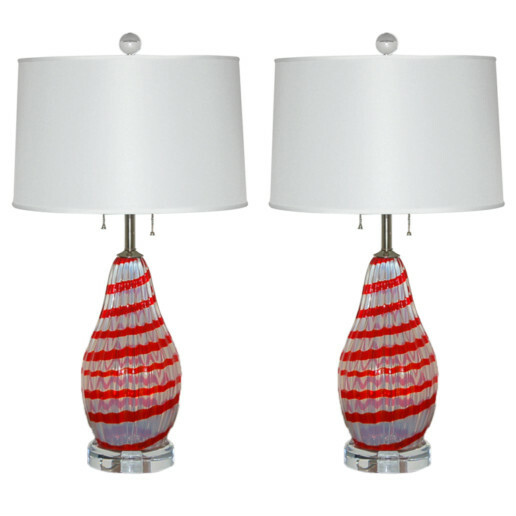 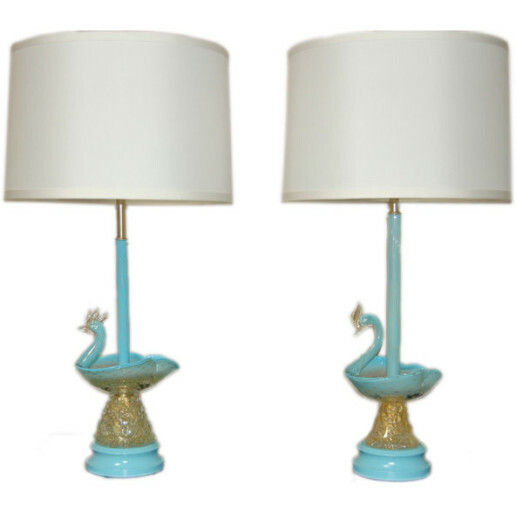 Lampshades are for display only and not available for sale.